Archiving data has never been easier, thanks to this revolutionary software! The Therefore™ information management software allows businesses to efficiently, economically, and securely store, manage, and process commercial information of all sorts within their organisation. IRISPowerscan 10 executes capture, sorting, indexing and exporting of documents in the form of easy-to-consult files. By eliminating errors and reducing costs, IRISPowerscan 10 will increase the overall productivity of your business. Handling documents is one of the most important, yet most daunting tasks for a business. 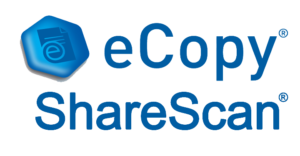 Having access to evolutionary software, such as the eCopy ShareScan platform, allows businesses to holistically manage their documents. This modular software is the ideal solution for making the task less daunting. Sign your documents online, and even remotely! Signing documents has never been easier. It’s as simple as downloading and sending one or more documents to the person whose signature is required. You can even send them a reminder or verify the signature status at all times.